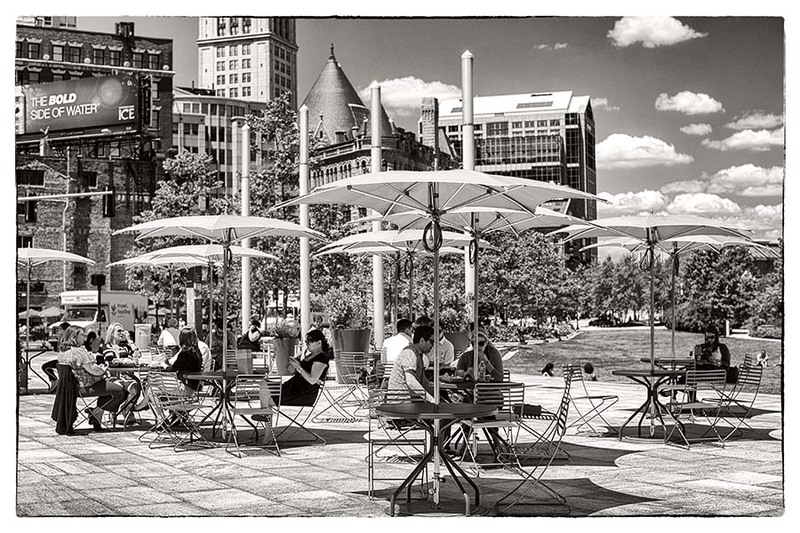 Seating areas on the Rose Kennedy Greenway used by people who buy lunch from food trucks. The thing I like in that scenery: there's enough room between tables for everyone feeling quiet.Here , we 're alwaysvery close from other people. Beautiful composition, I like a lot the shadows and light!Enjoy the lunch time! Wow. Complex and full of energy. Use a polarizer? I would not go back to work if I lunched here. Nice summertime capture.